Heart of the Fury is an extended campaign for Bulldogs! 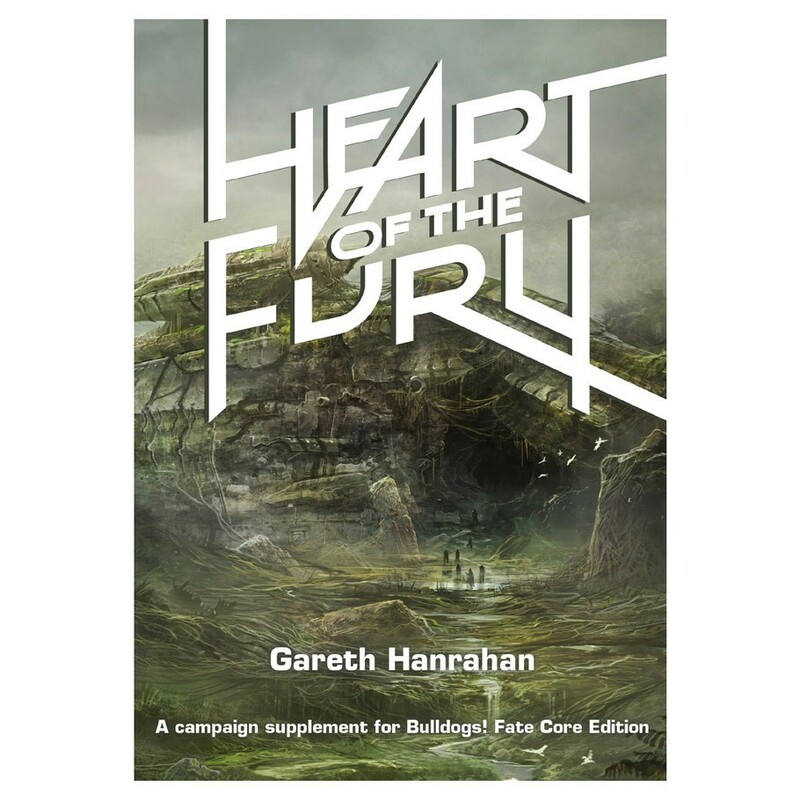 written by Gareth Hanrahan. This 260-page adventure campaign includes a dozen different adventures, and new rules for a customer’s Bulldogs! campaign. This supplement adds a new Psychic skill and stunts to add mental powers to the game, three new playable alien species, and an excellent example of how to craft a full arc campaign for a home Bulldogs! game.